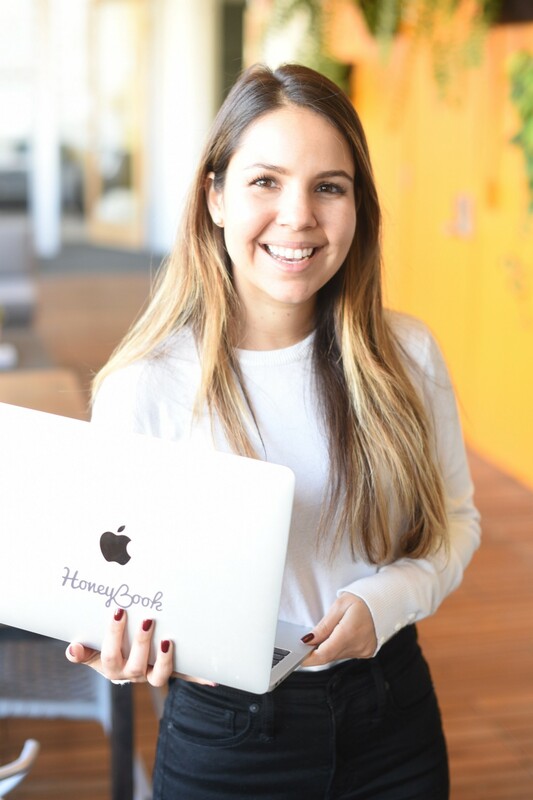 We sat down with Martha Bitar, HoneyBook’s Director of Business Development, to get to know her beyond her LinkedIn profile. Q: What is one thing we wouldn’t know about you by looking at your LinkedIn? A: My LinkedIn is all about my professional life, so they wouldn’t know that I grew up in Mexico until I was 17! Did we add “Spanish speaking is a plus” to the role description? (just kidding). Q: What is it like being a part of the Business Development team? A: We move fast and break things. This means that we have the most fun and plenty of opportunities to work on new challenges. THAT SAID‚ we also have a very chaotic environment with lots of moving parts. Self-starters looking for one-of-a-kind adventures are welcome. Q: What has been your favorite memory with your team? Q: When did you know HoneyBook was the right choice? A: I knew HoneyBook was the right choice after 5 minutes of chatting with Oz, our CEO. He’s genuinely committed to our vision — a world where creatives live a life built on passion and purpose. This is the foundation of our culture. We all wake up excited to GSD (Google it) and build the tools that the Creative Economy needs to build sustainable livelihoods doing what they love. Once you realize that it’s not marketing jargon, but a true calling, there’s no reality in which you decide to walk away. Q: We save the most important question for last. What’s yo ur go-to snack in the kitchen? A: Almond butter cups. They’re Unreal (literally, it’s the brand). HoneyBook is hiring. Check out our open roles at www.honeybook.com/careers.